Bringing the indoors out is an emerging trend in patio design. Fireplaces, kitchens & even outdoor TVs are popping up on patios and extending the use of our outdoor spaces! The days of grilling being restricted to burgers, steaks and hot dogs are gone! Modern outdoor kitchens feature sinks, side burners and searing stations; enough to cook a 5 course meal. Today premium grills have superior temperature regulation; you can bake cookies on one side, while grilling fish on the other! Adding a pergola, sun sail or patio roof to your outdoor space creates a sense of coziness and helps the area feel more defined as an outdoor room. Adding overhead lighting creates a warm space to enjoy dinner or relax on a summer evening. In the case of a sun sail or patio roof, the overhead effect of your patio can also create a shady spot to lounge on a hot afternoon. An outdoor fireplace offers a patio style borrowed from indoors. You could even add a mantle and an outdoor TV! Fireplaces are great addition to your larger scale outdoor rooms-a perfect addition to a pool deck! 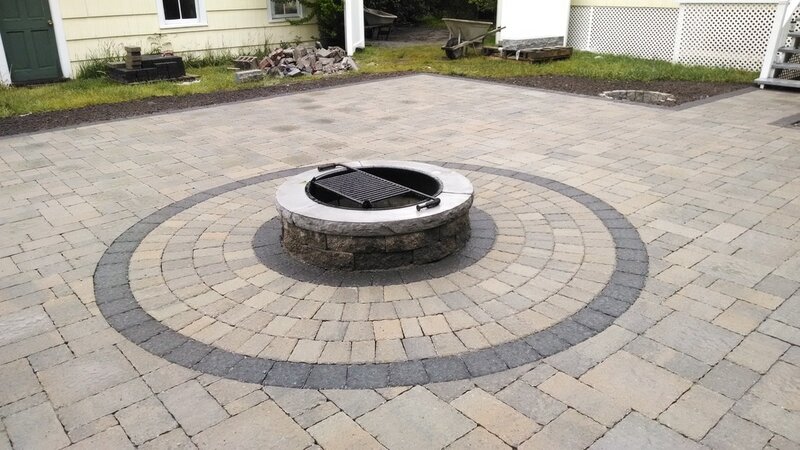 A fire pit creates the perfect gathering spot for friends and family. Place chairs and couches around the fire to extend the appeal of your patio well into the fall! Not all of us have a huge backyard with enough space for gigantic patios, but there are plenty of ways to customize these trend to fit any space. This corner fire pit adds warmth to the patio while still leaving plenty of room for a dining set. 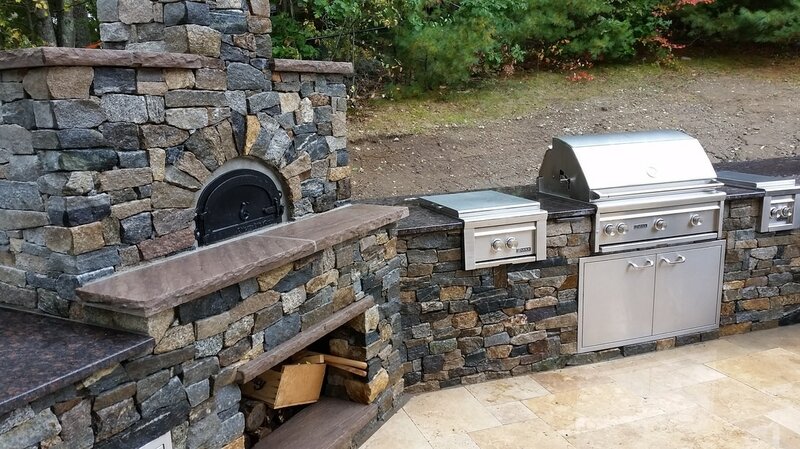 You can have an outdoor kitchen while only taking up a 5'x3' footprint! With the rainy spring we've been having in Massachusetts, it seems everyone is getting stir crazy! When the sun finally starts shining, make sure your outdoor space is somewhere you'd like to spend time. Take a look at these ideas to make your outdoor living space a little more alluring! Mimic the look of your dream vacation spot. Set the scene for relaxation by styling your outdoor seating area with design details that remind you of being on vacation! Dreaming of a Tahitian getaway? Create a rainforest tone in your backyard with teak furniture and lush greens. Or a Nantucket inspired beach theme with classic all-weather wicker, bluestone, and Rosa Rugosa. Where are you most drawn to in the garden? You may be more inclined to sit in one area for morning coffee, and another spot in the afternoon. Make a note of the path of the sun as it changes throughout the day. Consider a small bistro set for coffee in an area that experiences morning sun. A rustic, reading and relaxation oriented patio is a great option for areas that experience afternoon sun. We go to great lengths to make the interiors of our homes comfortable and inviting; why would you skimp on the outside? Try adopting the mindset you would use when arranging your living room as you consider your outdoor space. 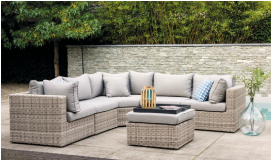 Cushion depth, seat-back height and overall comfort are super important when choosing pieces for your outdoor living room. Try adding throw pillows to couches, and potted plants as living center pieces on your dining sets! With the spring weather finally here to stay and Memorial Day right around the corner, it's time to get all your outdoor spring cleaning done! 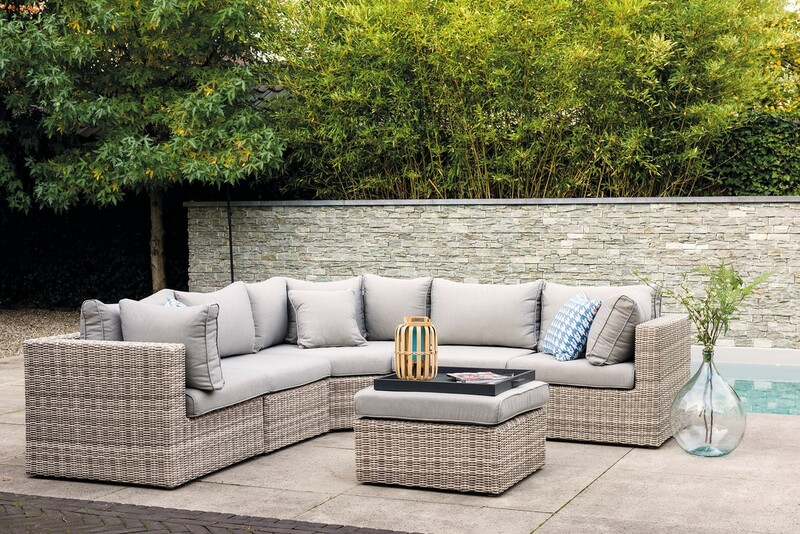 Follow our handy check lists to get your outdoor living space set for spring! Sweep, wash & scrub. Cleaning your patio is a lot like caring for your interior floors. If you've got tough stains on your paving stones, come pick up a bottle of Gator Shampoo for a little extra oomph. And don't forget to clean the grill! Break out your vacuum & spray bottle to freshen up your outdoor furniture for the season. Think about trying a new furniture layout this year: work with the natural light of your space to create an AM coffee space, or a cool shady corner for afternoon relaxing. A great hardscape can make your yard an extension of your home's living space. With so many hardscape ideas & materials out there, it can be hard to decide on a hardscape design that fits your tastes & needs. Here's a few ideas to consider when planning your outdoor living space. Embracing this Colonial home's rustic charm, Mark from Landwright Design in Hampton, NH designed a Bluestone Flagging patio with a Maine Flats stacked stone wall & granite steps. Live in a more contemporary style home? 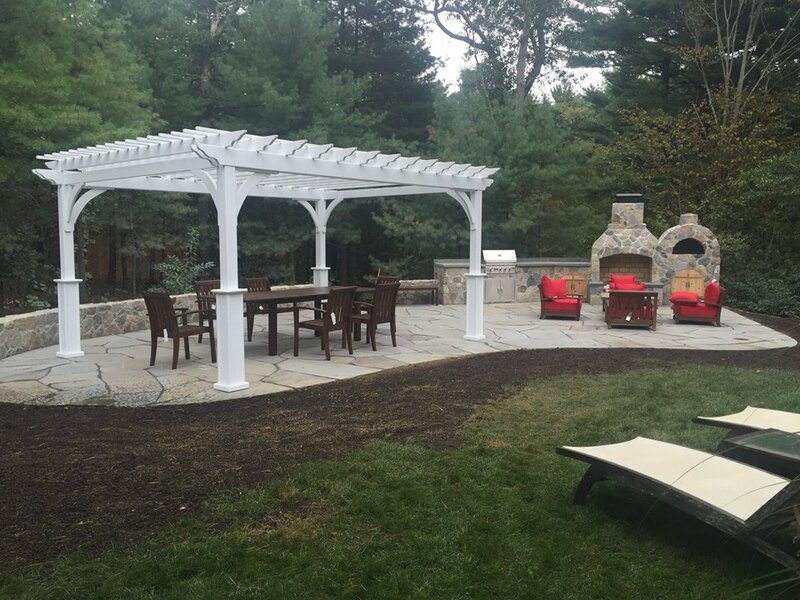 Consider working with Thermal Bluestone, Blue Mist, or a Cambridge Paver. And don't forget to consider the color of your home when choosing your stone or paver! A Fire Pit or Fireplace takes an outdoor living space from typical to luxurious. 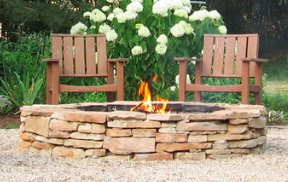 Wouldn't you just want to cozy up to this amazing natural stone fire pit by Stone Ridge Landscape & Design? 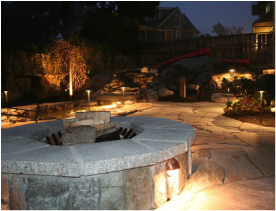 Plus having a Fire Pit or Fireplace in your outdoor living space can extend the time you're able to spend outdoors. Your patio space can still be used in October if you've got a fire to keep you warm! When building an outdoor space, include a conversation area in a "U" or "O" shape. Place the longest piece of furniture along the longest wall, directed towards your focal point, and add a few individual chairs to encourage guests to "pull up a chair" and enjoy a good conversation! 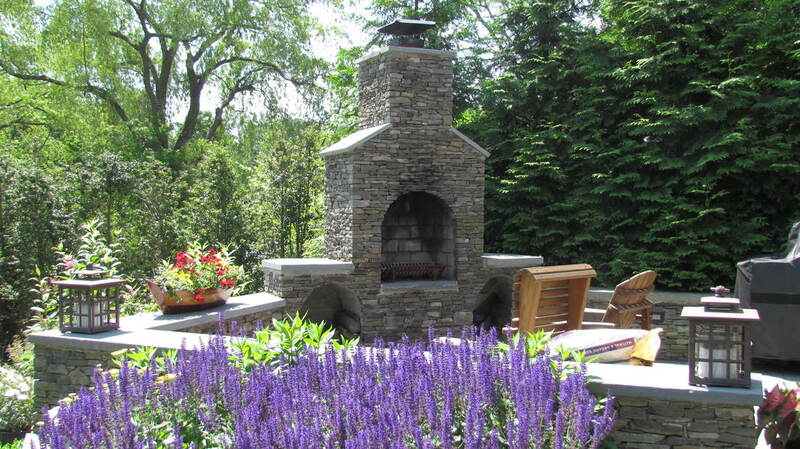 Get more great hardscape design tips from this awesome HGTV article. Live Outside! Looks like it's shaping up to be a beautiful New England weekend! If you're anything like me, as the warmer weather brings you outside, you start to notice your curb appeal (or lack there of!) A pallet of Wall Stone can do wonders to spruce up your exterior, and create an amazing outdoor living space. Here are 3 weekend Wall Stone projects: All you need is a pallet of wall stone, some crushed stone, and a little work! Creating a focal point around a tree (or trees) is a great way to add structure & interest to your yard! Check out this awesome tutorial from HandyOwner.com! For extra added appeal, fill your border with annuals or perennials and top with some fresh mulch! 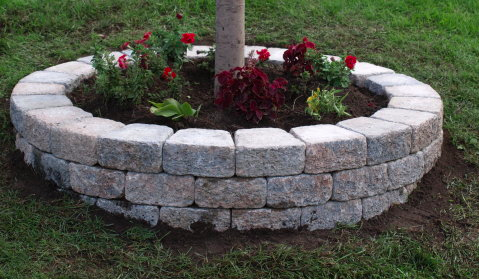 A stacked stone garden border gives your garden beds a huge boost of curb appeal-AND helps to contain the soil and mulch! 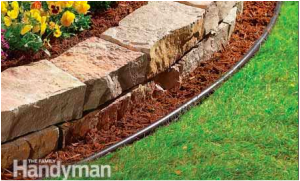 The Family Handyman gives a great tutorial on how to build your own stacked stone or paver edging. Plus both his tutorials account for your mower; no need to break out the weedwacker to maintain! A backyard fireplace can extend your outdoor living from early spring all the way to late fall! Huddling around a warm fire is a great way to spend a family evening, and your new fire pit can be built in just 1 day! Here's a helpful tutorial from Houzz. 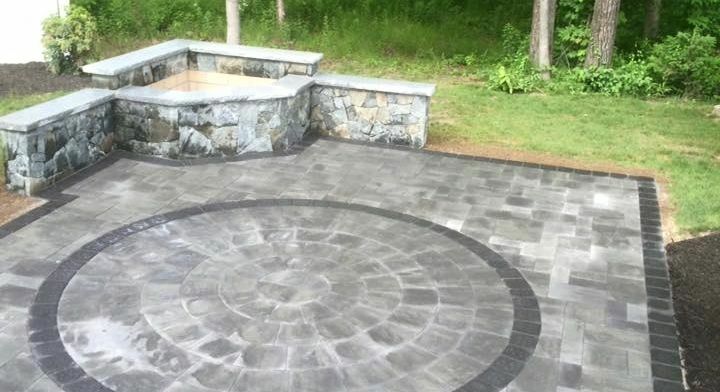 They use concrete mortar to lay the base for their fire pit, but you can also use a crushed stone or sand. All these projects can be done with either natural stacked stone, or a manufactured wall block. Because wall block has uniform dimensions, those projects will be a bit easier. However stacked stone lends a natural rustic charm to your projects that can be hard to resist. Whatever you chose, stop by Kaknes Landscape & Patio to chose your stone, mention this post & we'll give you 10% off your pallet of wall stone! Happy Weekend!